No brush required! Mila Kunis&apos; textured bun from the Billboard Music Awards in Las Vegas on Sunday, May 22, is a reminder that not all topknots are cookie-cutter clones. Although Kunis&apos; naturally wavy tresses look artfully intricate, her hairstylist, Renato Campora, told Us Weekly that he created it without even using a brush. "We wanted her hair to complement her [sparkly Zuhair Murad minidress], so we thought a high bun would be the perfect way to keep [it] out of her face and add to her overall fresh and sophisticated look," Campora tells Us Weekly exclusively. "I rough-dried her hair using only my hands to create texture and natural volume. I didn&apos;t use any brushes or combs, for a more unfinished look." 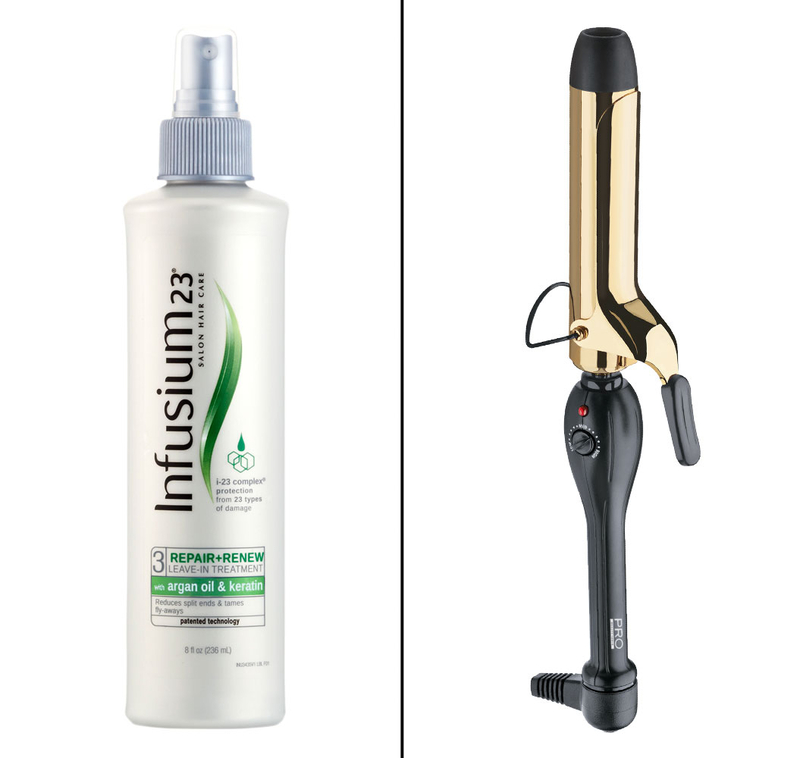 Then, he sprayed Infusium 23&apos;s Repair + Renew Leave-In Treatment on her dry hair to keep strands in place and amplify her natural waves. Afterward, the L.A.-based hair guru curled random pieces using PRO Beauty Tools 1 1/4 Curling Iron to add more volume. After separating out a few soft tendrils to frame the Bad Moms star&apos;s face, Campora pulled the rest of her hair into a high ponytail and loosely braided it. To finish, he wrapped the plait into a coil at the top of her head and secured with pins. The best part about this look? There&apos;s no need to have every strand in place. "The more texture, the better for creating a look like this!" Campora, who works with Jessica Chastain and Melissa McCarthy, told Us. "The end result doesn&apos;t need to be completely polished — that gives it a ton of texture." Would you try Mila&apos;s look?